From December 26 until January 1, food bloggers will share their best recipes posted in 2018 to bring in the new year. Each day has a different category but bloggers are not required to join in for all the days, if they don't want to. Each day a blog hop will open at 12:00am EST and close 36 hours later. The first day of January is the Wild Card category, which means you get to choose what category you want to share. It can be YOUR favorite recipes posted in 2018, underrated gems from 2018, recipes you want to try in 2019, best beverages of 2018, etc. It's totally up to you! 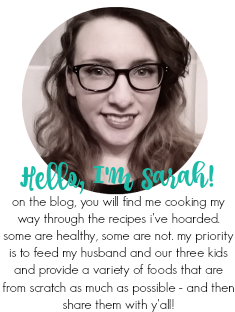 If you have any questions, please email me at fantasticalsharing1 at gmail dot com. 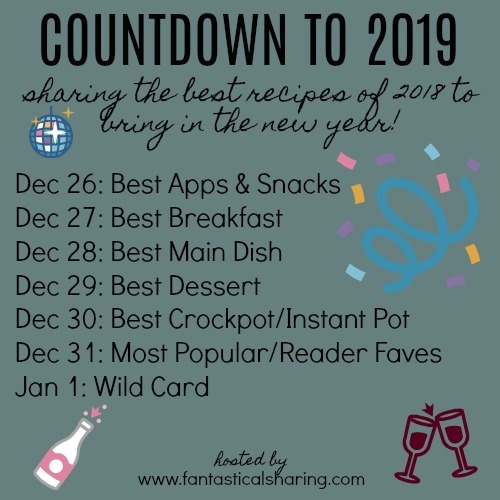 I'll see you back on the 26th for the first Countdown to 2019 post all about the best appetizers and snacks recipes of 2018! Sign up for the mailing list is below the image at the end of the post.